Loutro is the pebbled beach of the homonymous village, situated about 71km south of Chania town. 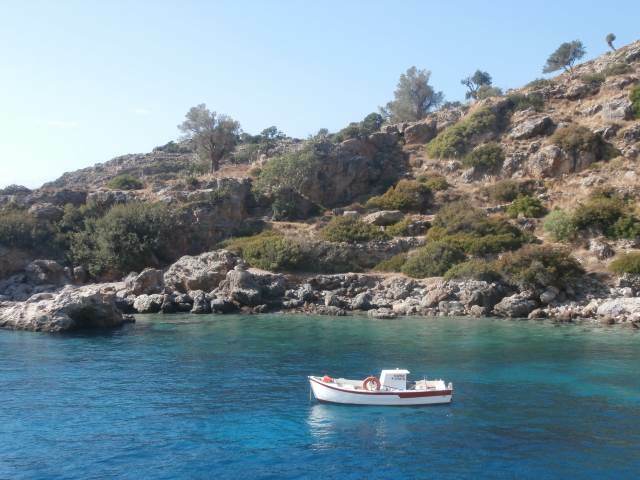 As there is no road connection, Loutro is accessible only by ferries and taxi boats. Umbrellas and sunbeds, showers, cafe, snack bars, restaurants, fish taverns, accommodation, mini markets, souvenir shops. Due to its isolation and the fact that the villge features no road connection, it is ideal for quiet holidays by the beach and those fond of walking. 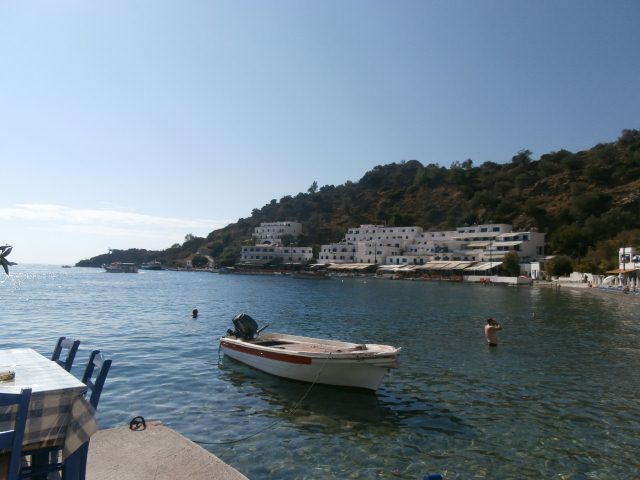 Loutro beach is a stone’s throw away from all the amenities such as cafes, tavernas, and rooms for rent. You could also rent a canoe or a boat in order to explore the nearby beaches and caves of the area. Access is possible only via a daily ferry boat which connects the village of Loutr0 with the neighboring ones of Agia Roumeli, Chora Sfakion, Sougia and Paleochora. Access is also possible by taxi boats which are found at the harbour of Chora Sfakion. 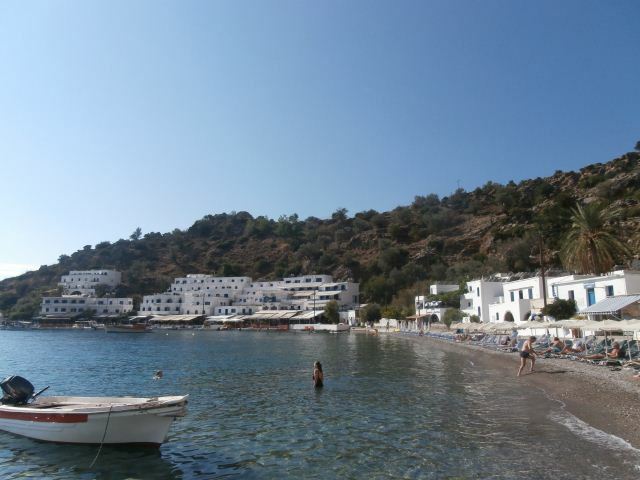 If you feel like hiking, the village of Loutro is accessible on foot through the E4 path from all its surrounding resorts.